Have You Tried Stop Looking at Your Online Earnings ? What I mean, as a blogger, online marketer , Problogger who make money online or what ever you call yourself, have you tried stop looking at your earnings even for week ? Well for me, I always check my online earnings in the morning and evening.It is because I need to know on what happen to my blog while I am sleeping or after my offline work. I know that there are bloggers that checks there online earning every hour. Believe me, I am one of them when I started blogging. But it does not help it ends up loosing the time to do a more profitable task in online marketing. If a blogger uses AdSense as source of income, AdSense could be set up to send report everyday at your preferred time. But believe me, if an online marketer will stop looking and being obsessed on his stats or earnings every hour, more earnings could be received at the end of the day. 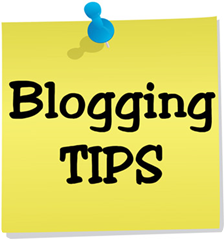 More time to comment to other blog as part of blog or site promotion or even more time to make a quality post. This is just my experience, I don’t know you, you might want to share your experience when you start having an online earnings. But believe me on that time I am thrilled to see every cents that adds up on my earning every time I check my earnings, but it gives frustration when it is not adding up. So why have the frustration all day ? It is also one of the reason why some bloggers burned out and stop blogging. It is simply because they blog for money. Blogging and Making Money Online needs to be fun and enjoyable and not frustrating. Any ideas ?